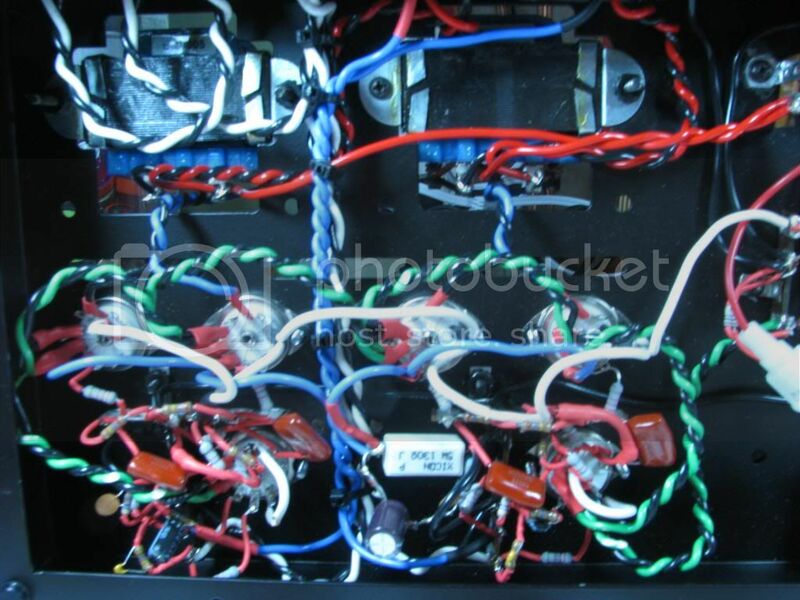 thought i would start a thread on the build of the remaining 6 amps that i have. 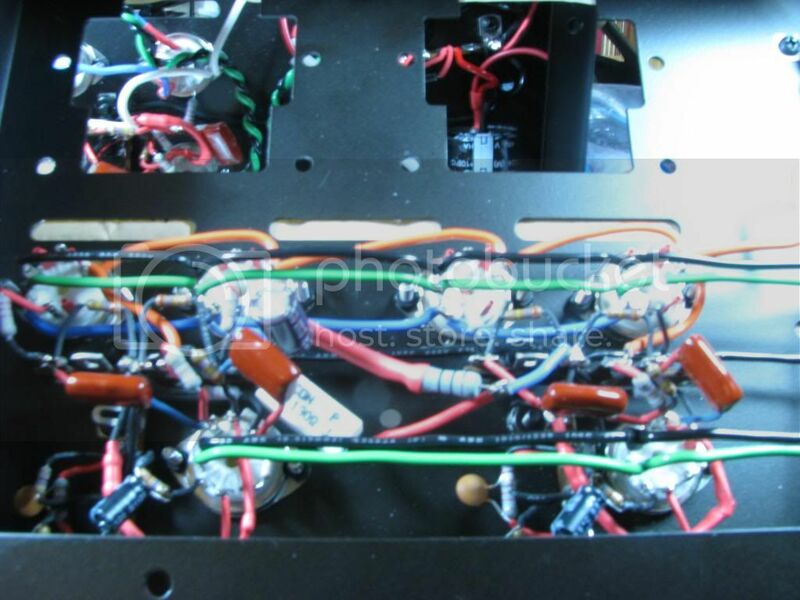 after seeing how the silver9 tube amp was laid out, i went with that approach in the lay out of the point to point. pics will follow soon as i am diong this they way henry ford did. so far 3-4 hours yesterday and another 8-9 today. so far, so good. if i make a mistake, it will be times six as they will all be the same in layout. with my bob approved first build, i have all that is needed to go by and double check against. Chop chop.... 6 is going to be interesting to troubleshoot all at once. yeah mike, i have been checking componets as i go bwith the meter, and will be posting photo's of the progress of each addition for others to inspect. Also, get some silicone tubing at your local hobby shop. WAY easier than putting heatshrink on everything !!! another 3-4 hours last night. 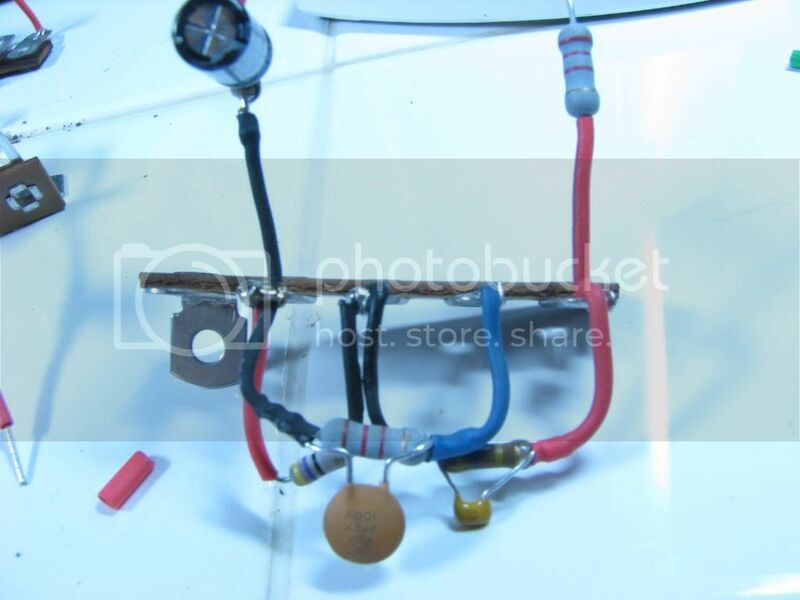 still need a tag strip like the one i used that has the two resistors and another one that is a five lug with the center to ground/screw down hole. anybody? 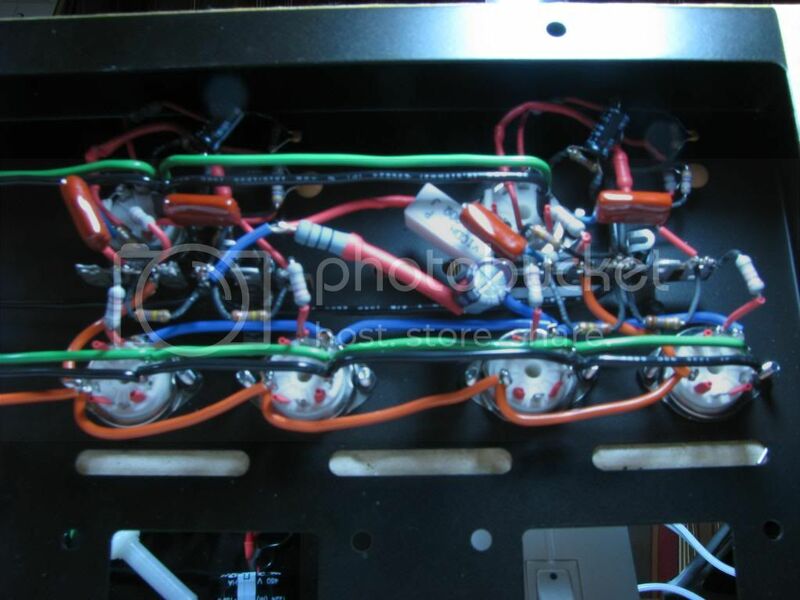 4 of the 6 amps are now wired up like the last hpto above. No rest for the wicked... Hopefully they'll make with the pretty sounds... and all be worth it! Looks like a great job so far, angel! WOW! I can see where all those hours went! Nice work! so i ordered some strips and finaly got 1 set and waiting for the others. it took them 6 days to put them in a bag. need to get back on it as they need to be done. 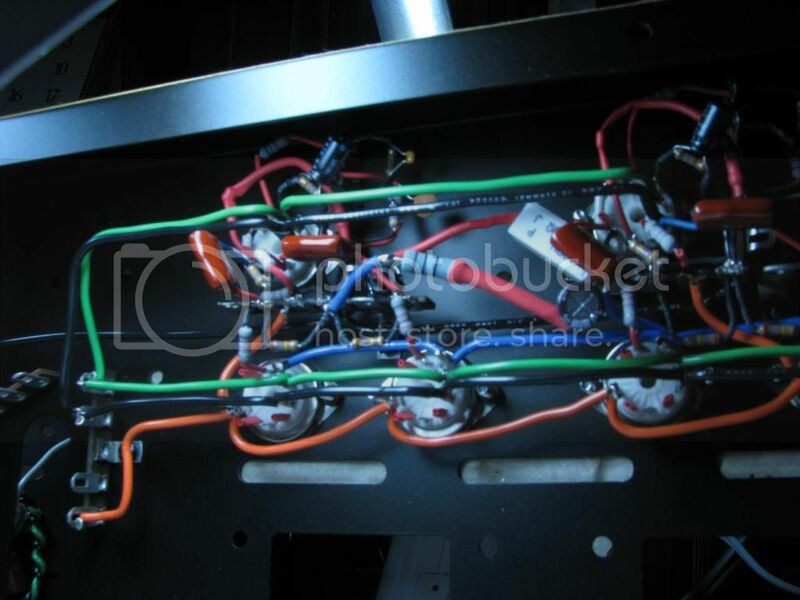 -why is the large white square resistor down there with the input tube sockets?? 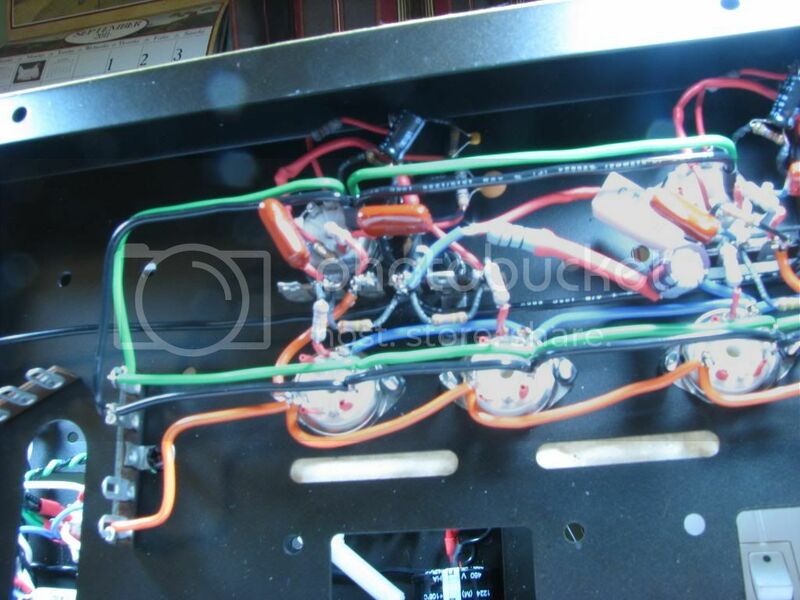 -why did you not twist the green/black 6-volt circuit wires? 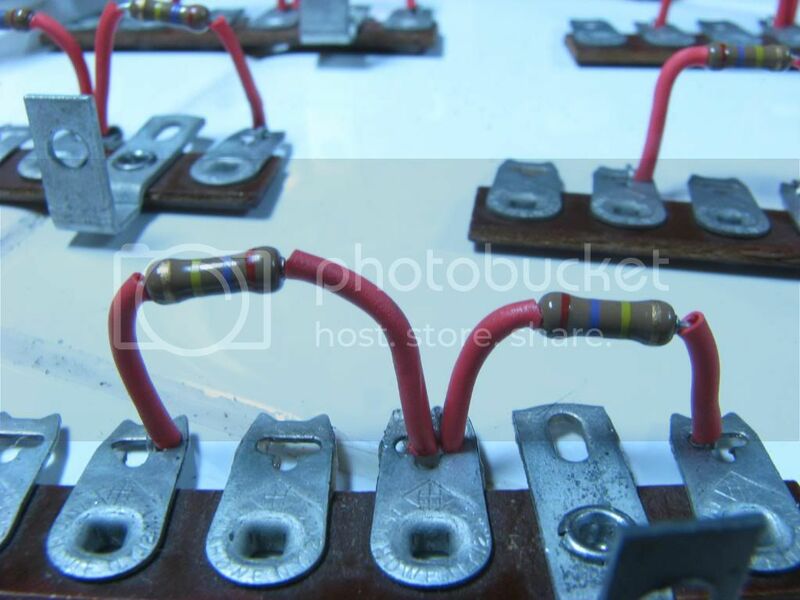 Being low voltage, they're more susceptible to interference....? 1, i used the end of the strip to support it as it was un-used, and wanted it to be stationary. it only ties into the place it should and the photo may be decieving you. now to go and check it again. damn ocd. 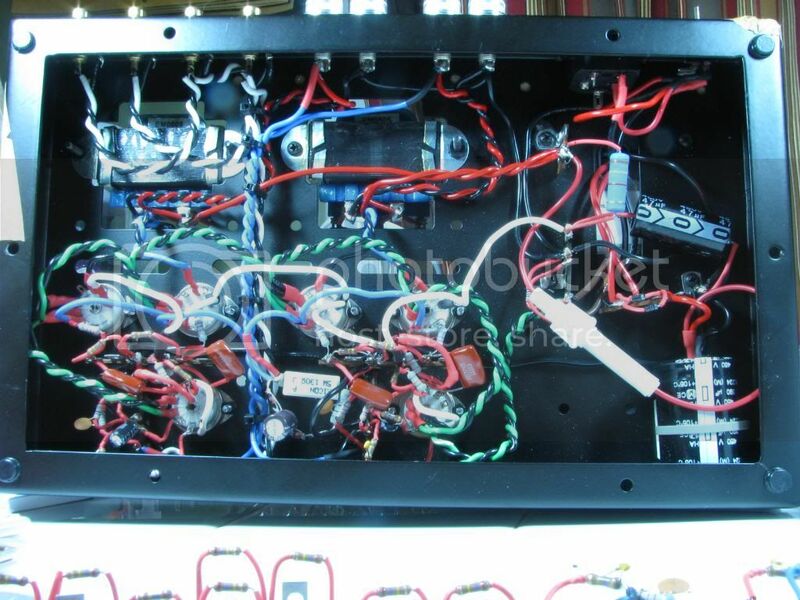 2. after seeing the silver seven/nine tube amp, i was inspired to lay it out the same way. 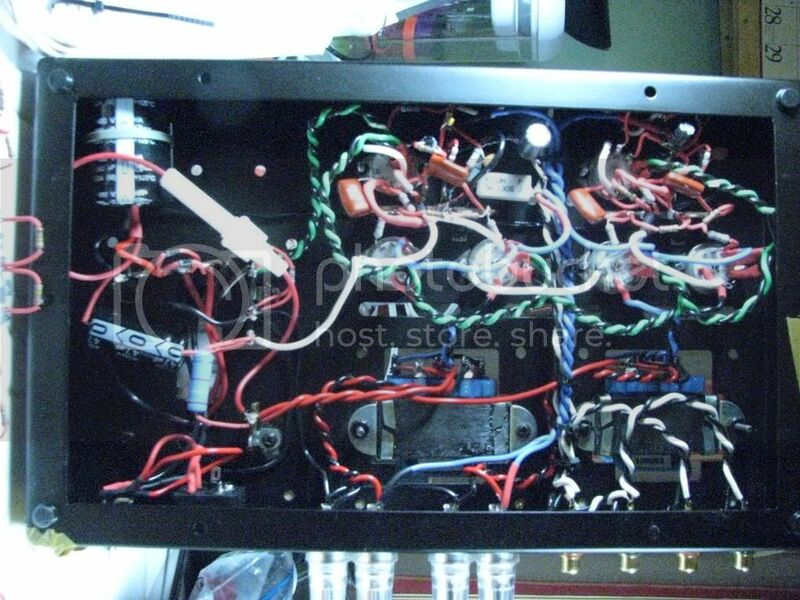 i figure if i get into a noise issue, i could always twist a single or even double new wires around them, or even goto the 12ax7 tubes. 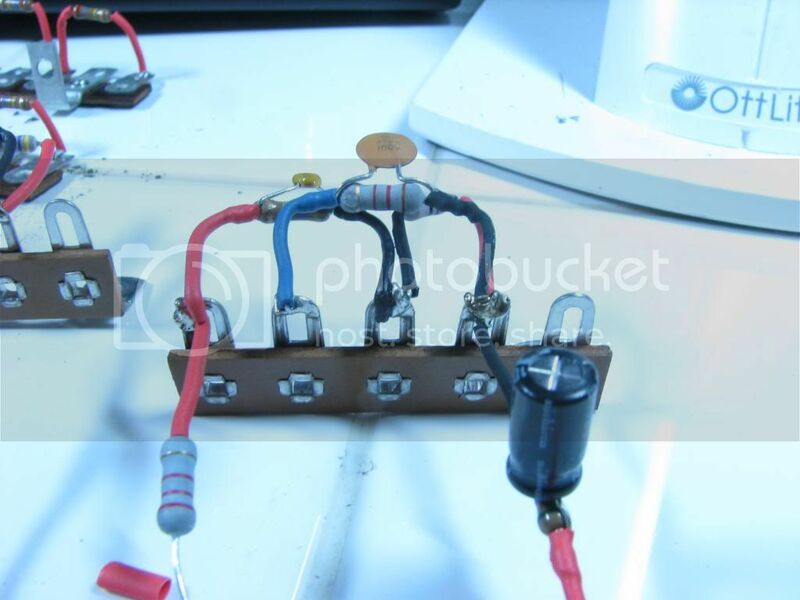 with the thicker wire, it was a total pain to twist them on the first amp. not that it is any easier that way that i have done it. at worst, i can and will go back, cut them out, and get a smaller wire, twist it up and replace them. what the hay, i have time sort of.